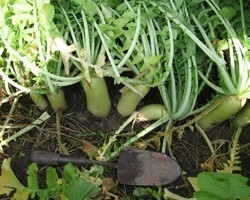 Cover crops are an important tool that farmers can use to generate benefits and services on the farm and for society, including improved soil health, nutrient supply to cash crops, weed suppression, insect pest management, forage production, pollinator resources, and clean water and air. There are many different cover crop species to choose from, and each cover crop species has different abilities to provide the services described above. Planting a mixture of cover crop species is one strategy that can be used to enhance and diversify the benefits that a cover crop provides. This article by Charlie White, Pennsylvania State University Extension, will describe some of the basic concepts to consider when planning a cover crop mixture, such as meeting different farm management objectives, selecting complementary species, and methods for establishing cover crop mixtures.